Delight your Christmas party guests with this fruity showstopper. 1. 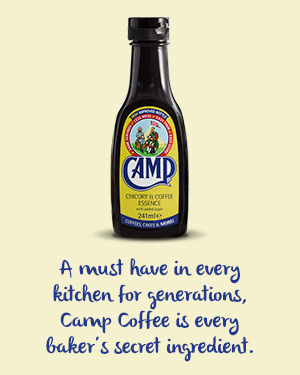 Place all the fruit in a bowl, add the Camp Coffee and brandy then stir. Cover with cling film and leave to soak overnight. 2. Pre-heat the oven 140°C/275°F/gas mark 1. Grease and line your 8inch/20cm round tin with a double layer of greaseproof paper. 3. Place the butter and sugar into a bowl and whisk together. Add the eggs gradually until they are all combined. Add the flour, mixed spice and walnuts and fold together. Once combined, add the soaked fruit and stir. 4. Place into your prepared tin and bake for 4 hours, or until the cake feels firm and a skewer inserted in the centre comes out clean. 5. 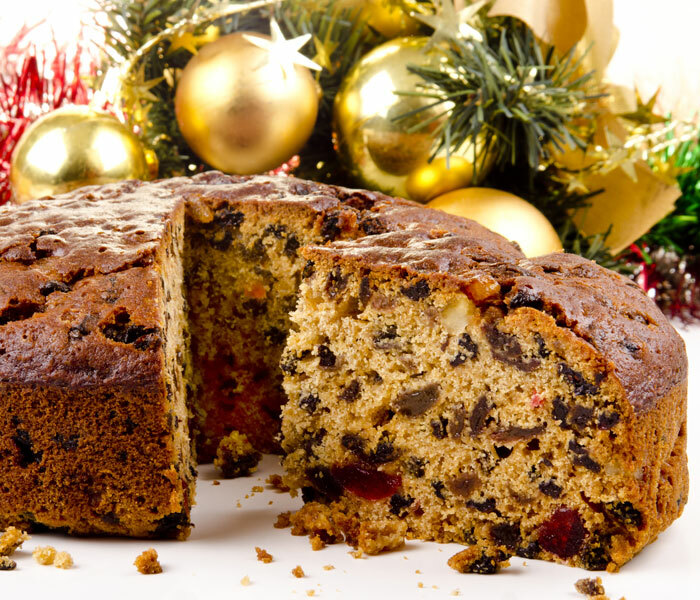 You can store the cake for up to 3 months wrapped in foil, adding a drop of brandy at intervals if you wish.